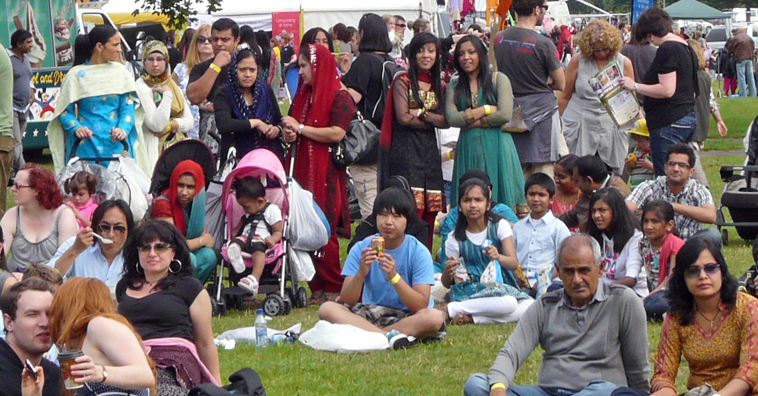 Edinburgh MELA comes home to Leith Links: Edinburgh Mela 2010 Special! 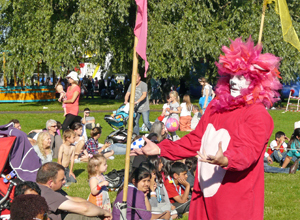 The 16th Edinburgh Mela Festival ran from August 6th to 8th, and after several years of wandering, finally arrived at its new home on Leith Links. 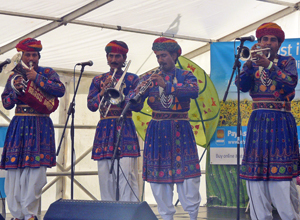 The Mela featured acts from Mumbai, Lahore, the Punjab, Turkey, Southwest China, Uganda and from all over Scotland, as well as Leith's very own Pulse of the Place Samba Band. It was supported by a team of 200 volunteer workers. 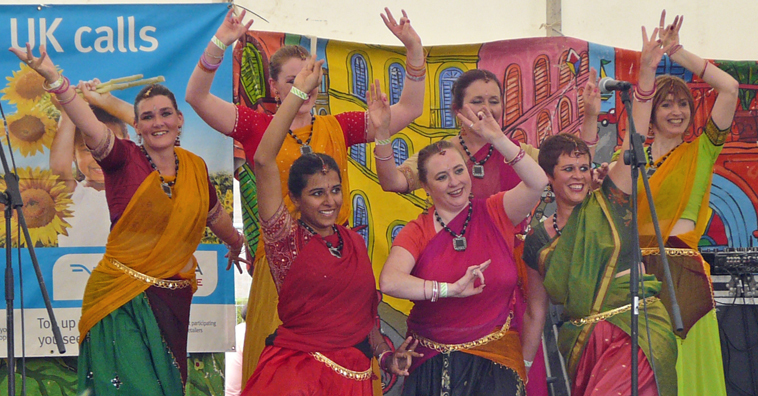 Leith and North presents pictures from the Saturday and Sunday of the Mela. 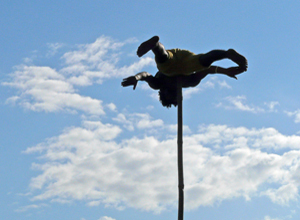 Artists featured include Edinburgh's Dance Ihayami School, Jaipur Kawa Circus, Swaryatra, Pif Paf performing "Trunk". 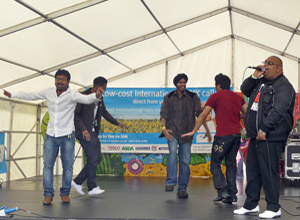 In a separate section you can find pictures of Iron Oxide performing the spectacular, specially commissioned show, "CARGO". A true multi media show, CARGO tells the tale of two people and their quest for the perfect place to call home. If you like physical theatre, or site specific events, and you get the chance to see the show, Leith & North cannot recommend it highly enough. Above ^^^: Members of the Edinburgh Ihayami Dance School. 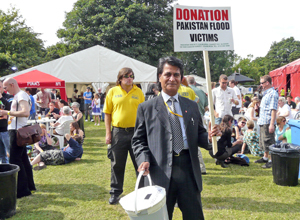 There are also pictures of some of the volunteers who work long hours every year to make the Mela a success, and of some of the information stalls and other activities that packed Leith Links. 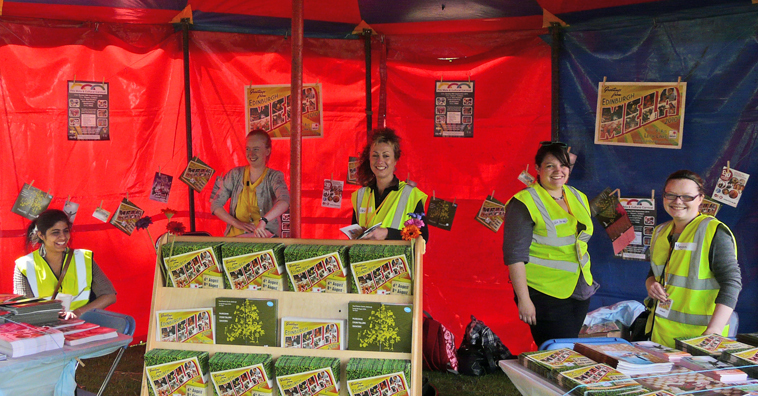 You can also see pictures of people enjoying two great afternoons out and some of the personalities of the Festival. 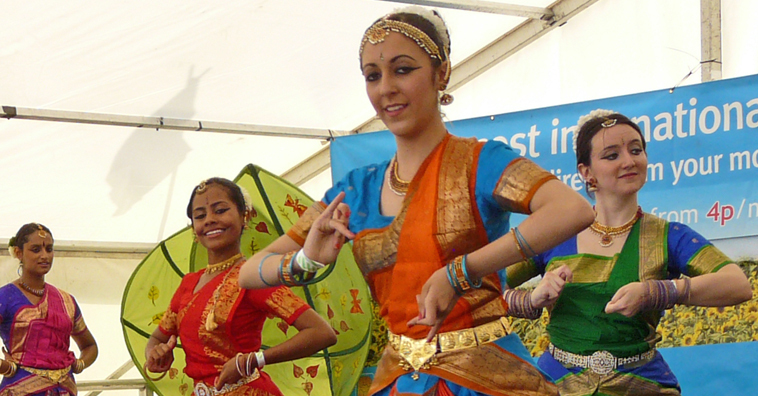 Leith and North also provides coverage of the annual Edinburgh Mela Fashion Show for the very first time. 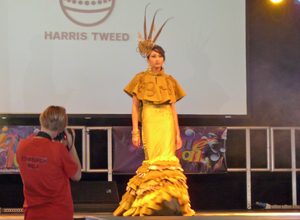 The show was organised by Unique Fusion, and included a Harris Tweed Textiles collection by Scottish designers.